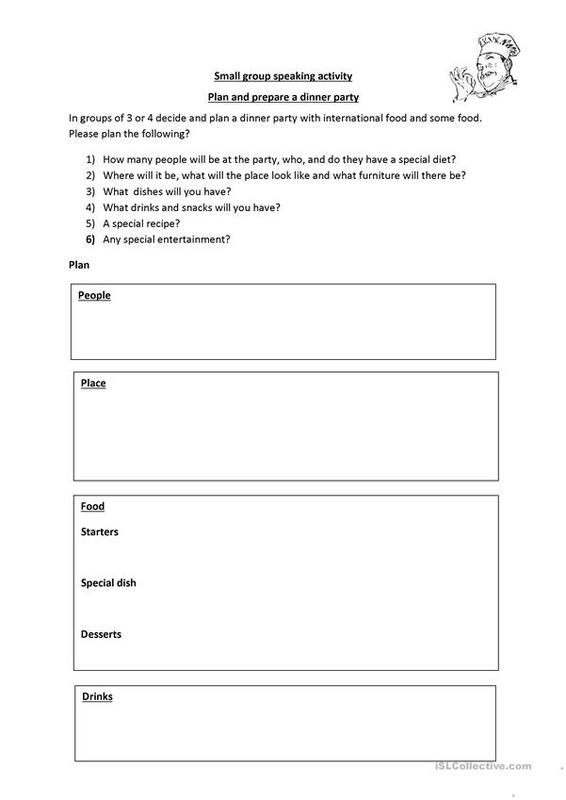 A small group activity to plan and make a dinner party, suitable for all intermediate levels and any occasion. Advise pre-teaching food and dining vocab first. This downloadable handout was created for business/professional students, high school students and adults at Pre-intermediate (A2), Intermediate (B1) and Upper-intermediate (B2) level. It is excellent for working on your students' Speaking, Reading and Writing skills. It focuses on the theme of Food.